Oogh the caveman and his beautiful companion are searching for diamonds. 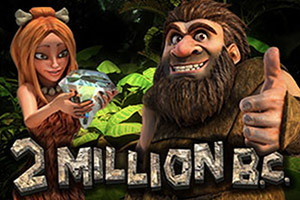 Travel two million years in time before Christ and start an amazing journey searching for diamonds and precious stones while enjoying the company of Oogh the caveman. But you must beware of the dangerous Cougar; he is hungry and looks after the precious stones. If you get 3 or more fire symbols, free spins will be activated. Win more spins for free when you get additional fire symbols on the reels during the free spins. 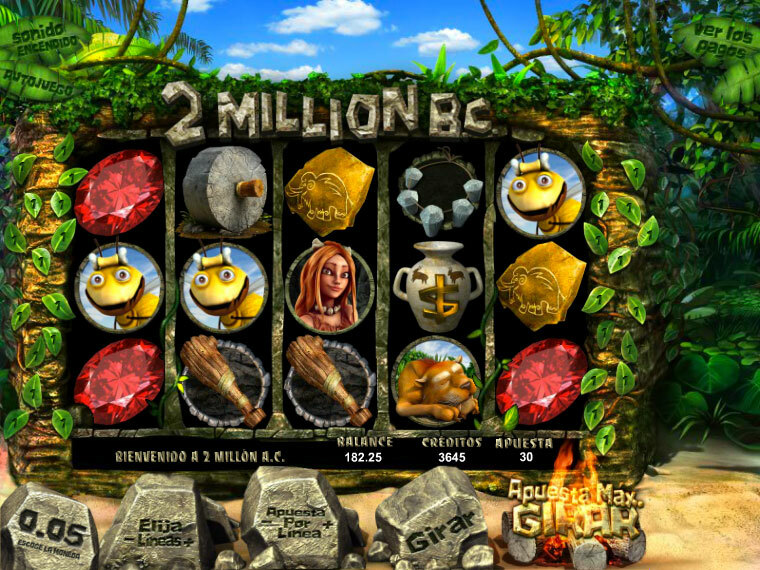 During the game you have to manage to get the millenary bee to pick up de acorns, she will accumulate them on the top left corner of the screen, and when it reaches 3 the screen with the Killer Cougar will be activated. Oogh will climb to the acorns and will have to hit the Jaguar with them. Be accurate and earn many immediate credits. If you get 3 or more diamond symbols on any winning combination to activate the Diamond bonus. The cougar has stolen the Diamond from the beautiful cavewomen, you have to get it back choosing to attack him, keep him busy while you take it back or walk next to him silently so you don't wake him up. You will get instant credits.